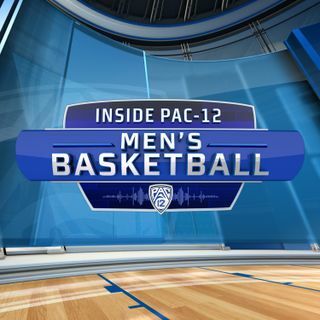 On this week’s episode of Inside Pac-12 Men’s Basketball, Pac-12 Networks’ Mike Yam and Don MacLean break down the key story lines in the Conference of Champions. They discuss USC’s sudden improvement (1:18), highlight USC forward Bennie Boatwright’s recent performance (7:07) and wonder how USC can attack Washington’s stifling zone defense (9:53). They also explain how Utah guard Sedrick Barefield has stepped up his game (13:38), and wonder why Washington is not getting more consideration for ... See More the AP Top 25 (19:23). Mike and Don interview former USC quarterback Matt Leinart (21:10), and talk about his decision to choose football over basketball and baseball. Leinart also explains why he does not regret coming back to USC for his senior season (36:00). Don evaluates the draft prospects for UCLA’s Jaylen Hands and Kris Wilkes (48:18), and on “Story Time with Don MacLean” he tells a hilarious story about the Washington State student section trying to distract him at the free throw line (53:46).